A great way to stay fit and keep moving, an Aquatic membership gives you access to all of our aquatic facilities including the pool, water slides, spa and sauna as well as the hydrotherapy pool. Aquatics - Unlimited access to all aquatic areas including warm water pool, slides and spa, sauna and steam room. 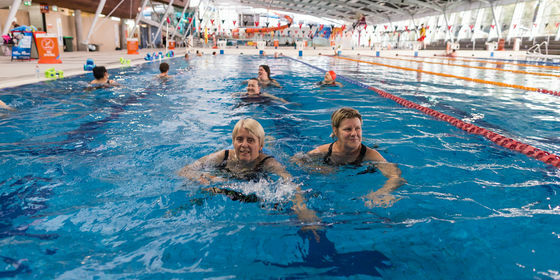 Reciprocal Access - Free access to pools at Casey ARC. We help our members live healthy, active lifestyles. Come for a splash with the family or swim laps. A very customer service driven team who get to know you and your needs. You are not just another member. We want to help you achieve your goals – we are here for you.